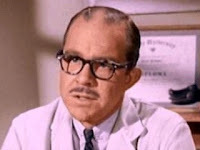 Character actor and voice artist C. Lindsay Workman passed on 24 April 2012 at the age of 88. C. Lindsay Workman was born on 6 March 1924 in Pittsburgh, Pennsylvania. He studied acting and literature at Pomona College in Claremont, California and later at Yale University. He was part of the theatre department of Scripps College for a time in the Fifties. C. Lindsay Workman made his television debut in an episode of Sergeant Preston of the Yukon in 1957. In the late Fifties he would appear on such shows as Wanted: Dead or Alive, The Third Man, Hotel de Paree, Have Fun--Will Travel, One Step Beyond, and Sugarfoot. He made his film debut in 1960 in Spring Affair. In the Sixties he appeared on such shows as The Untouchables, Dobie Gillis, Dennis the Menace, The Twilight Zone, The Outer Limits, Perry Mason, Mister Ed, The Wild Wild West, Daniel Boone, The Beverly Hillbillies, Batman, I Dream of Jeannie, The Man From U.N.C.L.E., The Flying Nun, Bewitched, That Girl, and Night Gallery. He was a regular on the series Here Come the Brides. He appeared in the film At the End of the Rainbow (1965). In the Seventies Mr. Workman appeared in such shows as Love American Style, Alias Smith & Jones, Ironside, Bonanza, The Partridge Family, The F.B.I., The Partridge Family, My Three Sons, The Brady Bunch, Adam-12, McCloud, The Waltons, Kolchak: The Night Stalker, Cannon, Police Woman, and Lou Grant. He appeared in such films as Westworld (1973) and The One Man Jury (1978). From the Eighties into the Nineties Mr. Workman appeared in such shows as Father Murphy and Highway to Heaven. He appeared in the film The Naked Gun 2½: The Smell of Fear (1991). He also provided various voices for animated specials based on the comic strip Garfield and also did voiceover work for Mercedes Benz commercials. C. Lindsay Workman a very prolific actor, appearing in dozens of television shows over the years. He played many doctors, waiters, bartenders, and teachers. Mr. Workman was essentially one of those actors often called upon to play small, but important roles in television episodes, usually the various professionals characters with whom the characters might have to interact. And there is a very good reason why C. Lindsay Workman appeared on so many television shows--he was quite good at taking a bit part and making it seem very convincing. With just a few lines of dialogue, Mr. Workman could make a doctor or bartender seem like a real person. What is more, he was an actor who made an impression. While I seriously doubt most people would recognise his name, I have no doubt anyone who watched television from the Sixties into the Nineties would recognise his face and even remember shows on which he guest starred. Robin Gibb, one of the youngest (with his fraternal twin Maurice) of the brother act known as The Bee Gees, died on 20 May 2012 at the age of 62. The cause was colon cancer. He was preceded in death by his twin Maurice and his younger brother Andy Gibb. 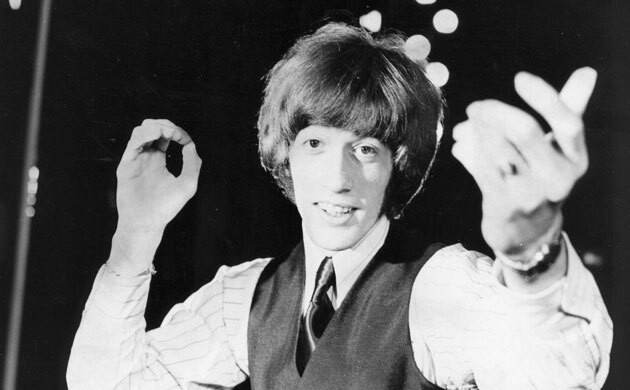 Robin Gibb was born on 22 December 1949 in Douglas, Isle of Man. When older brother Barry was about seven and the twins were about four, the family moved to Manchester, England. It was in 1958 that the family moved to Brisbane, South East Queensland, Australia. It was in Australia that the brothers launched their music career. By the early Sixties The Bee Gees were appearing on television in Australia and performing at various resorts. They released their first single, "The Battle of the Blue and Grey," in Australia in 1963. They would release several more singles in Australia from 1963 to 1966. Their single "Wine and Women" went to number 19 on the Australian charts in 1965. It success led to their first album, The Bee Gees Sing and Play 14 Barry Gibb Songs. Their single "Spicks and Specks" would hit number 5 in Australia and number 1 in New Zealand. It was included on the album Spicks and Specks. Following the success of singles in Australia and the release of two albums, Barry Gibb demos of The Bee Gees were sent to Beatles manager Brian Epstein. Brian Epstein gave the demos to promoter Robert Stigwood, who signed The Bee Gees to a contract with Polydor Records in the United Kingdom and Atco Records in the United States. Their single, "New York Mining Disaster 1941," was released in April 1967 in the United Kingdom and in May 1967 in the United States. It would prove to be their first hit in both countries. On the British singles chart it went to #12. On the American Billboard Hot 100 it went to #14. In July a second single was released, "To Love Somebody," which went to #41 on the British singles chart and #17 on the American singles chart. That same month saw the release of their first album in the United Kingdom and the United States. Titled Bee Gees' 1st (even though it was technically their third album), it went to #8 in the United Kingdom and #7 in the United States on the albums chart. The Bee Gees would prove to be one of the most popular groups of the late Sixties and early Seventies. Their single "Massachusetts," released in late 1967, would go to #1 in the United States, the United Kingdom, and Canada. It was followed in early 1968 by the single "Words" and the album Horizontal. The Bee Gees would have further success with such singles as "I've Gotta Get a Message to You," "I Started A Joke," "Lonely Days," "How Can You Mend a Broken Heart," and "Run To Me," many of which went top twenty in the United States, United Kingdom, or both. Their albums Idea and Odessa, and Cucumber Castle would hit the top 20 of the United Kingdom and United States' album charts. Unfortunately, discord would enter The Bee Gees in the late Sixties. This would result in Robin Gibb leaving The Bee Gees in an attempt to launch a solo career. This would result in the release of his first solo album, Robin's Reign, in 1970. His brothers carried on as The Bee Gees without him. Robin Gibb returned to The Bee Gees in late 1970. The resulting album, 2 Years On, would not chart in the United Kingdom, but went to #32 on the album chart. The single "Lonely Days," from the album, would go to #3 in the United States and #1 in Canada. Their next two albums, Trafalgar and To Whom It May Concern, would be moderate successes in the United States. They would also have hits with the singles "How Do You Mend a Broken Heart" and "Run To Me" in the United States and Canada. Unfortunately, their album Life in a Tin Can would sell poorly. The first single from the album, "Saw a New Morning," did not chart in the United Kingdom and only reached #98 on the Billboard Hot 100 in the United States. With their next album The Bee Gees would change direction. RSO rejected the groups' follow up to Life in a Tin Can, which had the proposed title of A Kick In The Head Is Worth Eight In The Pants. It was on the advice of Atlantic executives Jerry Wexler and Ahmet Ertegun that Robert Stigwood hired Arif Mardin as their producer. It was Mr. Mardin who encouraged The Bee Gees to explore the disco scene then emerging in 1973. While Mr. Natural would perform poorly, it would chart their career for the next few years. Indeed, their next album, Main Course, would see The Bee Gees actually perform disco songs. One of those disco songs on the album, "Jive Talkin'," would reach the top ten on the singles charts in the United Kingdom, United States, and Canada. The album itself would reach the top ten on the American album chart. The Bee Gees' next album, Children of the World, can be considered an outright disco album. It would perform even better than Main Course had. The first single from the album, "You Should Be Dancing," also proved to be a hit, reaching the top ten of the British, American, and Canadian singles charts. With The Bee Gees established as disco artists, it was then natural that they would compose and perform songs for Saturday Night Fever, a movie based around the disco scene. The movie's soundtrack album would produce yet more hits for The Bee Gees, including "How Deep Is Your Love", "Stayin' Alive", and "Night Fever." While at this point in their career it seemed as if everything The Bee Gees touched turned to gold, they would play a role in an enormous flop. The Bee Gees co-starred with Peter Frampton in the movie Sgt. Pepper's Lonely Hearts Club Band. Critics raked the movie over the coals and the public avoided both it and the movie's soundtrack album. The Bee Gees' next album, Spirits Having Flown would see them at the height of their success. It went to #1 in the United Kingdom, United States, and Canada. It also produced three hit songs. Unfortunately for The Bee Gees, 1979 saw the disco fad coming to an end. Never popular with rock fans, disco saw the general public turn on the genre. The Bee Gees would be caught up in the backlash against the genre. They would not have another hit song until "You Win Again" in 1987. While their albums would do respectably well in the United Kingdom, they would not even reach the American top 50 until Still Waters in 1991. It was in the Eighties that Robin Gibb would resume his solo career. Starting with How Old Are You? in 1983, he released six albums from 1983 to 2012. Following the success of 1991's Still Waters, The Bee Gees would record their last album, This is Where I Came In. Released in 2001, it went to #6 in the United Kingdom and #16 in the United States. I must confess that I was never a fan of The Bee Gees' disco songs. That having been said, I think that their work before 1973 was pure genius. Songs such as "New York Mining Disaster 1941," "Holiday," "Words," "I Started a Joke," and "Run to Me" were some of the best songs of the late Sixties and early Seventies, and Robin Gibb co-wrote all of them. They had a unique style with strong harmonies that usually included strings and horns. While not quite symphonic rock or baroque rock, I honestly believe that they had a huge impact on both genres. It is for that reason that I find it sad that most people tend to think of "disco" when they think of The Bee Gees and some may dismiss them out of hand for that reason. It is true that some of their biggest success emerged from disco songs, but they already had a long career of crafting beautiful, melodic songs long before the disco era. When I think of Robin Gibb and his brothers, then, I do not think of "Stayin' Alive." Instead I think of such songs as "Holiday," "I Started a Joke," and "Run To Me." I think that in the long run those may be the songs for which they are best remembered. It was in an interview in the 20 May 1967 issue of The New Music Express that Pete Townshend gave the subgenre of rock known as "power pop" its name. 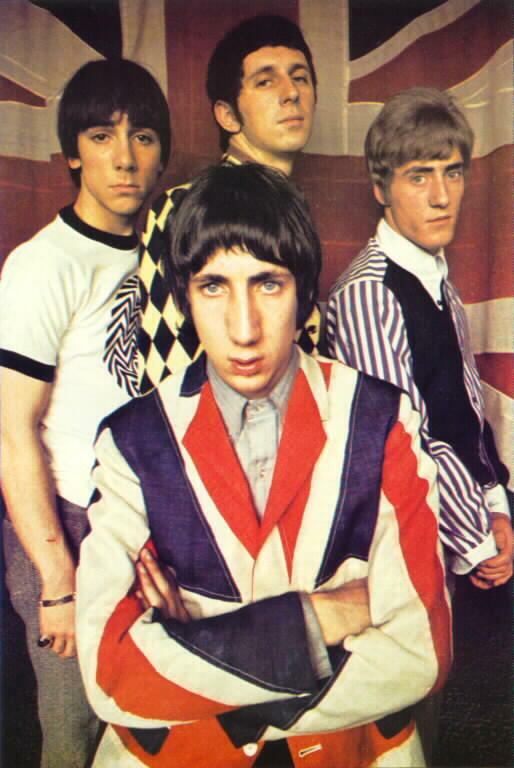 In describing the sort of music The Who then played, Pete Townshend said, "Power-pop is what we play - what the Small Faces used to play, and the kind of pop the Beach Boys played in the days of 'Fun Fun Fun' which I preferred." Today very few people would consider The Beach Boys to be power pop at any point during their career, although they certainly had an impact on the genre. That having been said, both The Who and Small Faces in their early days characterise the genre perfectly. As to exactly what constitutes power pop, that can vary according to which side of the Pond one is on. In the United States and Canada power pop can be defined as an electric guitar driven subgenre of rock with strong melodies and clear harmonies, often making use of musical hooks. And while power pop can include other instruments, the basic instruments of power pop are the electric guitar (usually a lead and a rhythm), the electric bass, and drums. Of course, this definition of power pop is rather broad and vague. Looking to Townshend's use of the term, a simpler and superior definition of power pop might be that it is any music that sounds like the early work of The Beatles and similar groups of the British Invasion era (The Who, The Kinks, and so on). Ultimately, it may be as Dan MacIntosh said in an interview with Eric Carmen published on the web site Pop Mattters on 28 August 2007, “You just know it when you hear it." Here it must be pointed out that while this definition holds true for Canada and the United States, the term "power pop" has been used much more loosely in the United Kingdom. Artists as diverse as Elvis Costello, XTC, and the American band Blondie have been called “power pop” in the British press. A perfect example of this is an article published in the 26 August 2010 issue of The Times in which Blondie’s song “Dreaming” is described as "power pop." The looseness with which the term power pop is still used in the British press was also characteristic of the American press in the late Seventies and early Eighties. As late as 1980, The Boston Globe described Blondie as a power pop group in its 25 December issue. While the British would continue this freer usage of the term power pop to this day, however, in the United States the term would come to be used only groups that, well, sounded like The Beatles, or The Who, or The Kinks, or any of the early British Invasion bands. Regardless of precisely which bands can be considered power pop, the term would take some time before it caught on. Despite the fact that Pete Townshend coined the term "power pop" in 1967, it would not be until 1975, when the term "power pop" was used of the music of The Raspberries, that it would be used with any frequency. Even then, it would not be until 1977 that the term "power pop" would enter common usage. Indeed, it can be argued that it became one of the buzz words of 1978. That year it even appeared in Time, , in its June 26, 1978 issue, in an article on Nick Lowe, Dave Edmunds, and Rockpile. Of course, while Pete Townshend coined the term "power pop" in 1967 and the term would not come into common usage until 1978, the genre had already existed for some time when the 20 May 1967 issue of New Music Express was published. There will probably always be arguments as to what was the first power pop song, but if one determines that power pop is music that sounds like the early Beatles, then it follows that The Beatles essentially invented power pop. If this is the case, then the first power pop song would be a Beatles song. The Beatles' first single, "Love Me Do," relied rather heavily on harmonica as its primary instrument, so it would not seem to be a power pop song. This is not the case with their second single, "Please Please Me," in which electric guitar is the primary instrument. We can then say that power pop came into existence on 26 November 1962, the day "Please Please Me" was recorded. It was released on 11 January 1963 making it the first power pop single. Of course, this also means that in my humble opinion power pop will celebrate its 50th anniversary later this year. To celebrate the anniversary of Pete Townshend giving power pop its name, here are three songs. The first is the primordial power pop song, "Please Please Me" by The Beatles. The second is one of the most influential singles in the genre, "You Really Got Me" by The Kinks. The third is a song by the man who named the genre, "I Can't Explain" by The Who.